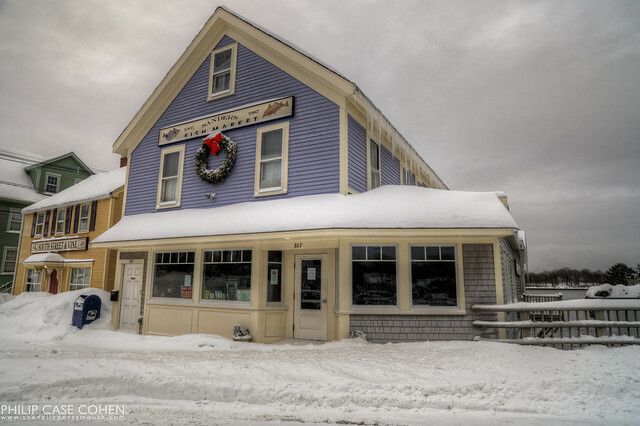 It has without question been a ridiculous New England winter…and this image of Sanders Fish Market on Marcy Street provides further evidence. The pastel buildings lining the waterfront along Marcy Street are a favorite of mine…and I especially like the fact that you can stroll into the market and pick up some fresh locally caught fish. The snow and the icicles make this frigid scene feel a bit less welcoming, but if you make the trip you won’t regret it. Philip! Great photo. You should enter it in Yankee Magazine’s 2011 Winter photo contest. Seriously — your work is so nice and it would be a sure thing for the award!